Up and walked Mix before breakfast. Tom and David arrived soon afterwards but Tom was clearly still hurting from his exertions with the concrete and so we sent him home to recuperate. 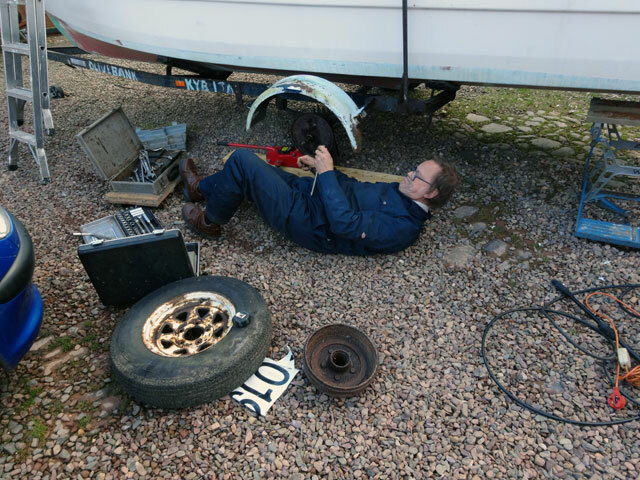 David set about dismantling Olivebank’s trailer so that it can be made roadworthy once more. I retired to the summer house and prepared the music for Arrochar. Mum went off to Berwick for her Tai Chi class. Digger started work on constructing the door for his dome. David had to go to Berwick at lunchtime. 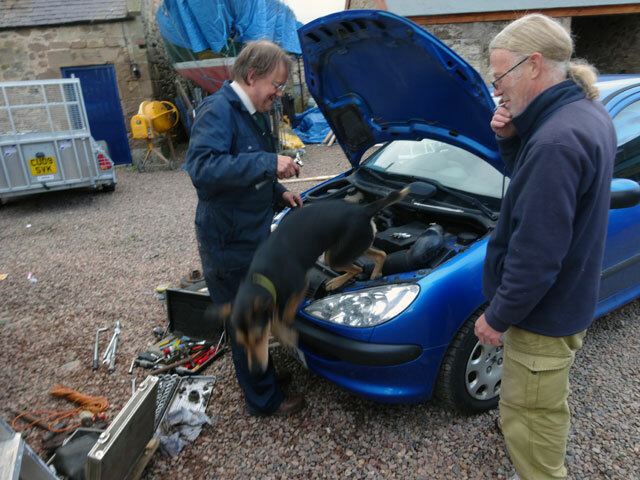 He returned in time to complete his dismantling of one of Olivebank’s wheel assemblies and make plans on how to rebuild the trailer. I searched the internet in order to find some of the items which will be required for the restoration of the boat itself. 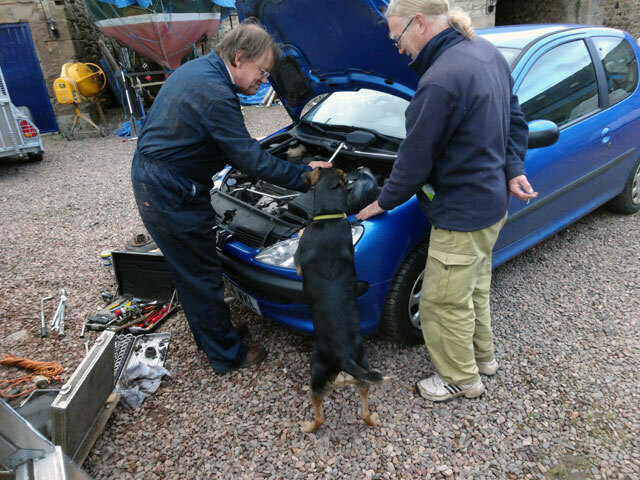 David also replaced the sparkplugs in Digger’s car. While all of this was going on, Ian, Paul, Tommy and Andrew completed their job of repairing the flat roof on the farmhouse – In fact, they worked on late and had the whole task completed just before seven. Rachel and I watched last night’s episode of New Tricks – it was good. After the News I walked Mix and got off to bed.